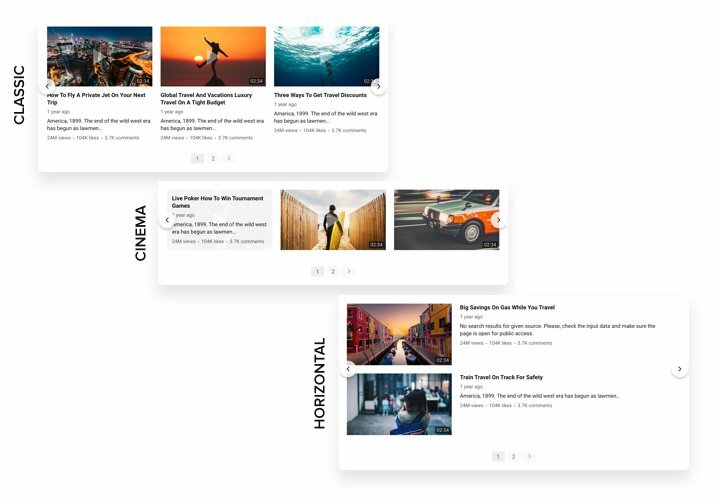 Strengthen connections with clients with the help of YouTube videos on your site. 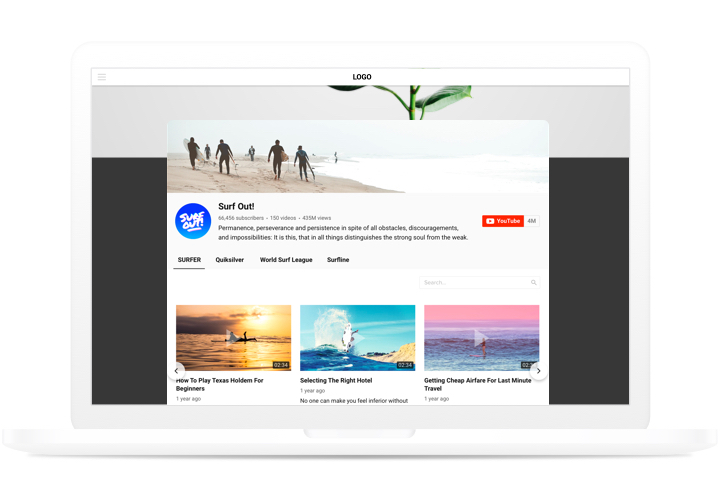 Entertain your site users with high-quality content from YouTube and keep them engaged longer. Achieve maximum purchases on the site using the right YouTube content. Use promo videos, reviews, overviews, guides and other video types to give to the visitors comprehensive information about your products and push them to fulfil a transaction. Maximum subscribers for your YouTube account. Convert website users into your fans on YouTube. 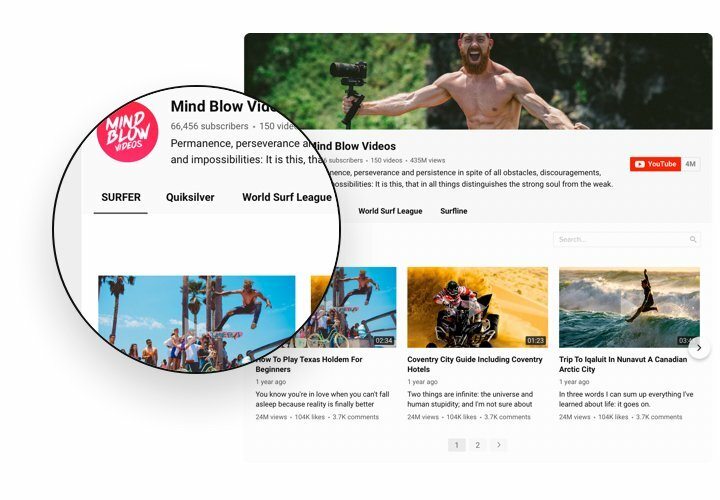 Demonstrate a fast and simple method to check videos and follow your channel right from the site. The characteristics of this widget, which make it the best in inserting YouTube videos on a BigCommerce website. A brief guide by our team on integration and customization requiring no knowledge in development. Average installation duration is around 70 seconds. Install the application. Click «GET THIS APP» on the page with YouTube Video Gallery, and install the app to your BigCommerce website. Shape YouTube Gallery. On this stage, in «My Apps» section, choose the settings of the interface and add the content. 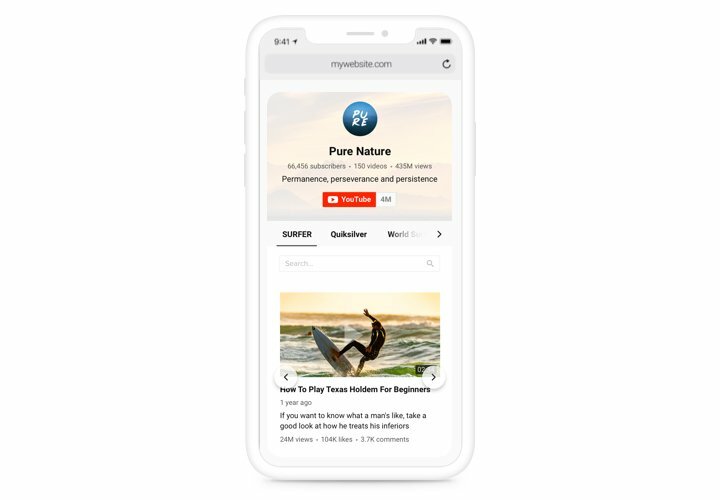 Add YouTube app on your website. Open «Storefront» «Web Pages», define the page for adding the widget, and paste the widget code there. Done! Enter your store, to see your app! 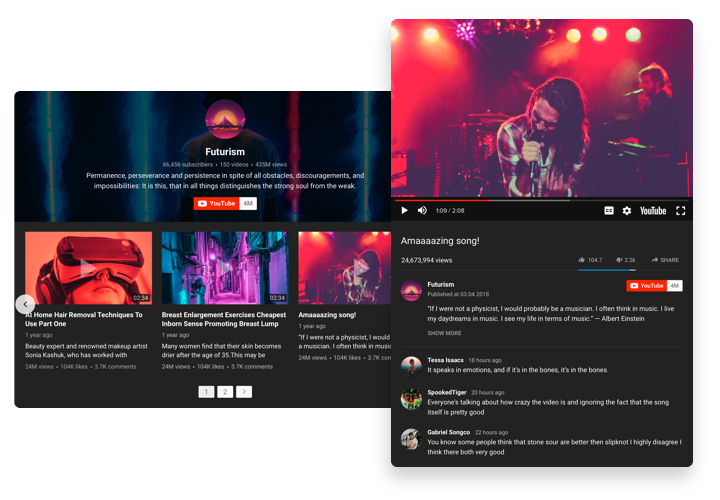 Experience any issues while setting up or personalizing YouTube Gallery? Address Elfsight help center with a detailed explanation of your issue. We will do our best to solve it. 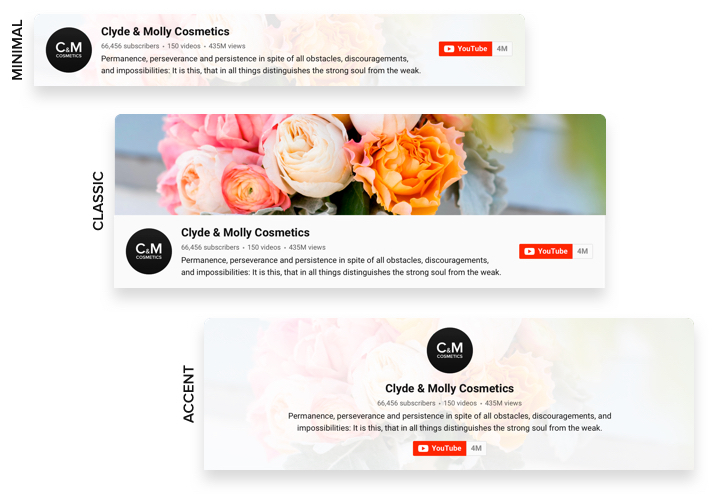 Set your personal BigCommerce YouTube Gallery in just 3 minutes!